In Japan, we will decorate a ‘Kagamimochi（鏡餅）’ to our house in the New Year. 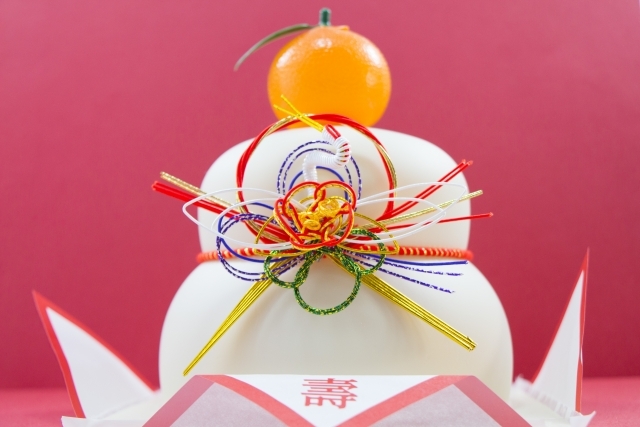 Kagamimochi is an ornament that puts oranges on top of two rice cakes. By the way, the role as an ornament will end on around January 10th, and rice cakes will be eaten by people. There are usually reasons for traditional Japanese customs. But, I do not know the reason or origin about this.